Massage positively impacts the couples' -- both the giver and receiver -- well-being, perceived stress and coping abilities as well as emotional well-being. It’s rare to see a couple not arguing, every relationship has some problems. But if you recognise it ahead of time, you can even get things solved. So, even if your relationship is in turmoil, giving each other a massage can improve both your physical and mental well-being. Also, it will lead to relationship satisfaction, says research. The findings showed that giving each other a massage may ensure relationship stability as couples tend to operate as a pair when coping with stress. “Massage can be a simple and effective way for couples to improve their physical and mental well-being whilst showing affection for one another,” said Sayuri Naruse from Northumbria University in Britain. Massage positively impacts the couples’ — both the giver and receiver — well-being, perceived stress and coping abilities as well as emotional well-being. “The benefits of receiving a massage from a professional are well documented, but this research shows how a similar outcome can be obtained by couples with little prior training and experience of the activity,” Naruse added. The results were presented at the British Psychological Society’s Annual Conference in Brighton. In the study, a total of 38 participants completed a three-week massage course, assessing their well-being via questionnaires before and after massage sessions across eight areas of physical and mental wellbeing, stress, coping and relationship satisfaction. 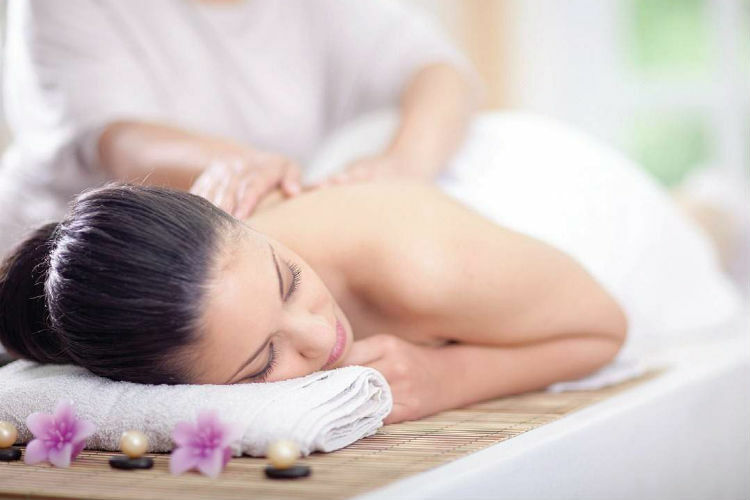 “Massage is a cost effective and pleasant intervention that isn’t just in a therapeutic setting but can be easily incorporated into a healthy couple’s daily routine,” Naruse added.